We just moved up from Georgia. Luckily, we found Chuck’s sight and phoned him. He was a tremendous help in finding and negotiating through, all the waters we had to travel through. I went through Chuck Klee of Island Reality to procure a property and had a very professional experience. Chuck was available to answer any questions and got back to me in a timely manner throughout our entire transaction. I highly recommend his service. Chuck is extremely knowledgeable of the area. He is diligent and effective. I highly recommend him. 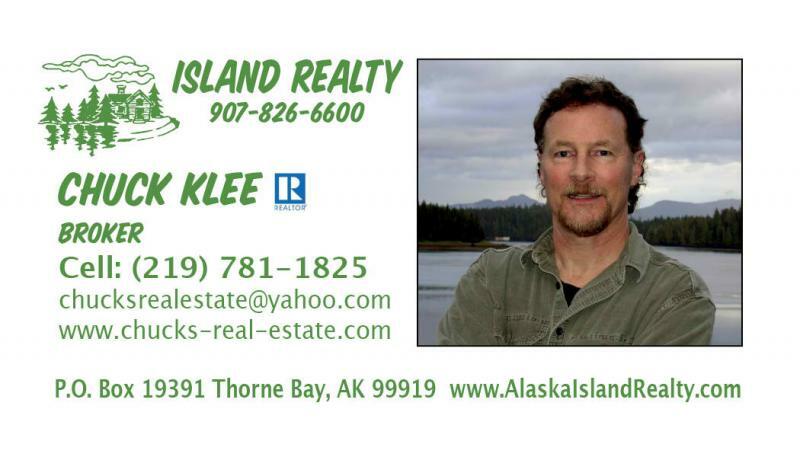 Chuck Klee of Island Realty sold our house in South Thorne Bay in less than a month. Once the buyer of our house decided to buy, Chuck did all he could to get the house sold. With us in Washington didn’t make his job any easier but Chuck never stopped working for us. I appreciated Mr. Klee’s prompt reply to my inquiries. He was good on following up concerns to expidite the sale of the house.